Folks wonder what sort of woman I am, that I would sell myself to The Beast. Cursed with a hideous form, the mysterious La Bête never leaves his enchanted castle. No matter: his riches are as endless as the steady stream of women willing to serve him. Those women say his appetites are as monstrous as his visage. I may be young and innocent, but I am also practical. Five chests of gold for one year of servitude seems fair. Especially when my family is desperate for money. When La Bête needs a new woman and offers for one of my father’s daughters, my family accepts his terms. I am the willing sacrifice. But La Bête is unlike any man I’ve ever known. And I am about to learn what it means to love a beast. Beauty in this novel comes from a very large family, that isn’t doing so well. With a couple of sisters and a couple of brothers, as the eldest sister she’s expected to do her part to help gain the family fortune. Despite what she’s willing to do for her family, it is obvious that they see her as many see others–the ends to a means, which is, for what they can get from her. This makes for an interesting dynamic as she meets and gets to know the Beast. I do like that Beauty is smart, and has interests, however, there was quite a bit of backstory shoved in with the regular story. In some parts, it is told in a way that flows well with the story, but in others it is haphazardly thrown together in more of a tell instead of show way. While the past is very important, it did feel as if she was reciting the same things again and again, which while that may be a realistic thing to do, it got grating after a while. I loved the beggar woman she met in town. She was well done, and it was neat to have one person on Beauty and the Beast’s side. The other secondary characters, unfortunately, were mostly stock characters. The reason the Beast became the Beast was interesting and well thought out, and I thought it flowed well with the rest of the story. Getting to learn the tale was quite satisfying after reading for so long–it did not disappoint. Overall, I thought this was a fairly decent book. It was over a bit soon, the conflict resolved a bit too easily, and some character depth for secondary characters would have been nice, but altogether it was a good tale. 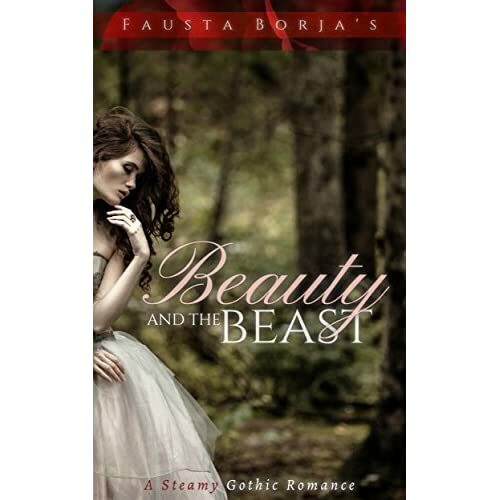 There is no info on Fausta Borja on Amazon.